Order Custom Printed Folding Dog Water Bowls – great for those warm outdoor events for vendors, along parades, at spectator events and games, and more. 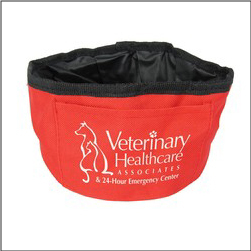 Anywhere someone might bring their pet, you could be advertising to potential customers with these great collapsible on the go water bowls. Promote pet health and help keep dogs hydrated at those outdoor events. 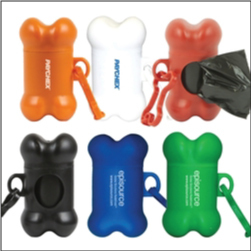 A great pet business and pet service marketing product! Order printed Custom Reflecting Pet Bandanas great for that safe walk or run with your animal friends. 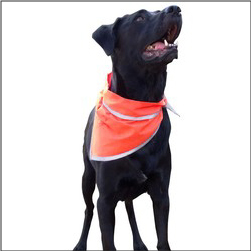 These bright furry companion bandanas are great for advertising or supporting pet businesses, pet events, run walk fundraisers, animal shelters, veterinary services, and more. Great as an animal rescue fundraising product for shelters and more. A very popular pet promo!